Buy REAL Anavar (Oxandrolone). Best price and fast shipping. 20 mg of Oxandrolone per 1 tablet (1000 mg total), double concentration, you can split the tablet in half and get 2 tablets x 10 mg each. Anavar was first developed in 1964 by Raphael Pappo while working at Searle Laboratories (Now Pfizer) and was sold and distributed under the name Anavar. Taken orally, the steroid was originally produced for medical purposes such as in the treatment of HIV/AIDS. Anavar was discontinued by the FDA due to the negative stigma created by the intense use in the bodybuilding community. The steroid was later reintroduced to the world and can be found in hospitals for treating injuries or diseases such as osteoporosis and trauma. Anavar has many functions in the medical world and has helped treat people who have lost weight because of various injuries or diseases. Anavar increases lean tissue growth for people with illnesses such as infection, trauma and osteoporosis. 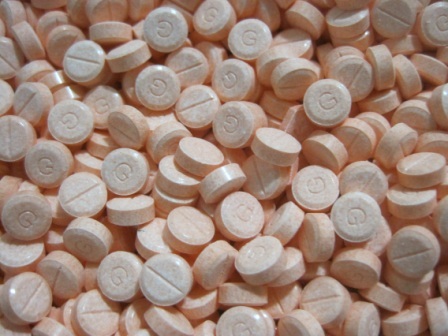 The FDA restricted production of Avanar in the 1980’s and later removed it from shelves in the US in 1989. This trend continued internationally. Today, the drug has been reintroduced in the United States and is manufactured by Savient. The FDA promotes the product for patients looking to gain weight after extensive infections and trauma. Several knock-off brands have emerged in the United States, allowing for more patients to have access to the cheaper generic brands. Originally designed for medical use only, after seeing the weight growth and strength building attributes of Anavar, the bodybuilding community began using the steroid to test its effects. The results have been positive, increasing protein synthesis and nitrogen retention, when coupled with a high protein diet and consistent lifting regiment. Anavar allows bodybuilders to gain muscle mass without putting on any water weight, fat or overall body weight, which can be beneficial when looking to remain in a weight class. By itself, Anavar does not actually increase considerable muscle growth, but when paired with other steroids like Dianabol, the drug produces sizeable muscle mass. Anavar strengthens the effects of the other steroids by cutting the fat sometimes produced by the steroids it is coupled with. Using Avanar increases strength and lean muscle after ingestion and training. One benefit of using Anavar while training is that with low doses it does not significantly increase testosterone levels. Some studies have found that Anavar is great for reducing unwanted abdominal fat in men. During cycles, Anavar is not typically used, since there are less pricey options to choose from. However, Anavar is beneficial during the bridging process between cycles. Using the steroid properly, with the right doses, training and diet will allow bodybuilders to keep weight off, even after they stop working out for a while. Women using Anavar should avoid large doses to prevent severe increases in testosterone levels, however with the right dose and diet, women can see results such as fat loss and hardened muscles.